Acquiring a foreign qualification was a distant dream for many, even with decent financial backing, with virtually no loans being available, as the amount required was too much of a burden for most of them. Things have changed for the good, with banks both in public sector and private sector, offering educational loans for overseas studies, which has resulted in increasing number of students from middle class and lower middle class families materializing their overseas study aspirations, banking on these loans. However, there are many doubts in the minds of students and parents, especially with regard to its loan processing, documents required repayment etc. Let us look at the process one by one. Before applying for an overseas education loan, it is always better to take in to account how much money you would require for the entire study abroad stint. 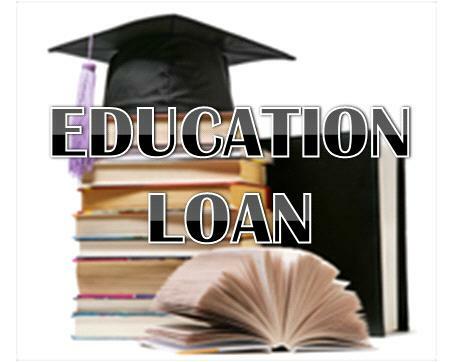 One has to consider tuition fees, boarding and lodging expenses, books, insurance, travel cost etc before deciding on the loan amount required, so that even after getting an education loan passed, you are not cash strapped. Now that you have clarity on the amount required, the next step would be to approach banks, most preferably those near to your place of residence, as it would make things smoother as far as the processing is concerned. Though one can consider public sector as well as private sector banks, Public sector banks should be your first priority, considering the lower interest rates, repayment options etc are concerned, whereas new generation banks are known for quick processing of such loans. 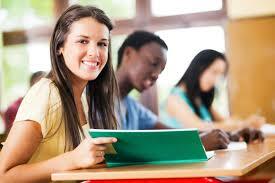 The most important thing to know is whether you are you eligible for an education loan. Enquire whether one’s parental income would suffice to meet the eligibility criteria, whether you have sufficient collateral security like house, flat, non-agricultural land or fixed deposit, to support the loan? These are vital in determining your eligibility for an education loan. Taking education loan is a big commitment, one which needs proper knowledge about different aspects of the loan one is taking. One should not only compare the rate of interest. Any decision to select a loan should be taken in to account consider many factors. Know the terms of your loan? What the interest rate will be? When the repayment period will begin? One should also consider other factors like flexibility to pay from abroad, online customer services etc. The golden rule is, do not leave anything to speculation. It normally takes 10 to 30 days for education loan processing, though it can stretch beyond that depending on particular cases. 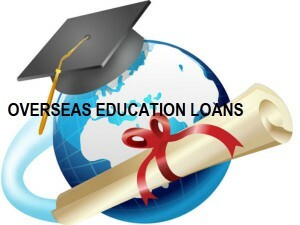 It is always better to apply for overseas education loan well in advance, anticipating any such possible delays so that you do not have a problem in securing admission owing to paucity of funds. Following up with the bank manager once in a week would help you gauge the movement of your file and take necessary measures accordingly. 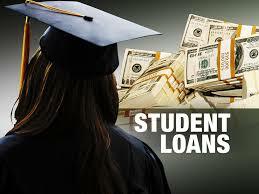 Need more information on overseas education loans, contact Santa Monica study abroad Pvt. Ltd., the trusted overseas education facilitation with over 13 years of experience in the domain, facilitating admission to over 200 universities/institutions to 20 + countries across the world. Contact us on 0484-4140999. This entry was posted in Bank Loan for Education on March 2, 2016 by Ronnie Fredrick Thimothy. With well informed parents and children settling for nothing short of best education, the number of students embarking on overseas studies is increasing day by day. With the stellar growth experienced in the country in the last few years coupled with technological changes and growth of the internet, top notch universities/ institutions around the globe are closer than never before. It is a common sight to see scores of students, visiting seminars venues and overseas education expos accompanied by their parents, with palpable excitement of finding a course abroad that fits their Interests and aspirations, which they sadly miss in Indian universities and colleges. However it is observed that, many students, who seem highly positive about embarking on abroad studies, drop their plan when the stage comes for raising money. Though higher education does not come cheap by any means, considering this as a long term investment with high returns and relatively easy availability of education loans there is no point why one should end his /her overseas education dream for the paucity of Funds when one can avail education loan up to 25 lakhs for financing their education abroad. The student seeking educational loan should be Indian national. The student should have secured admission to professional/ technical course through entrance test /selection program. The student should have secured admission to foreign university/institution. * The details in the blog pertaining to eligibility criteria and documents required are to be taken as a general rule followed by the banks and are subject to change from bank to bank and from time to time. This entry was posted in Bank Loan for Education and tagged overseas education loans on December 30, 2015 by Ronnie Fredrick Thimothy. Studying abroad – planning is essential to ensure that adequate funds are at disposal when needed. Moreover, while applying for the student visa, you need to show proof of sufficient funds to cover at least the first year of education. Education today is the key to professional success and is treated as an investment by parents who are willing to run that extra mile to give their child the best possible education. In recent years, education has been globalised which has increased awareness of the best institutes worldwide or even the fact that under grad, grad education can be done aboard. This has resulted in more and more Indian students going to various countries for education; be it for grad courses or post grad courses. Studying abroad is expensive and at times the cost can be as high as six times that of the cost in India and hence planning needs to be done to ensure that sufficient funds are at disposal when needed. This is essential because to apply for the student visa, you need to show proof of funds sufficient to cover at least the first year of education. In 2009, India ranked number 1 (103,260 students) among the international students studying in the US. If you are planning further education in the United States of America (U.S.A), mentioned below is a brief guide on what options are available for funding your education. The first thing that comes to your mind is an education loan. But even before you opt for an educational loan, make sure you tap the university/college funding option. Many universities offer financial assistance to international students primarily based on merit and rarely on poor financial background. The amount and type of assistance offered varies for different universities, departments and level of study. Assistance of funds is more likely for graduate studies and less in undergraduate courses. Also funds are more likely to be available in fields like engineering, physical and biological sciences, rather than humanities, social sciences and management. You need not be disillusioned if you do not get the financial aid at the onset, because many students manage to get some financial aid from the university/college after a couple of semesters. Tuition waiver: This means that the student does not have to pay the tuition fees at the university. However, general fees (for the use of university facilities like the library, computers, and sports and health services) usually have to be borne by the student. A tuition waiver is frequently awarded in conjunction with a scholarship or teaching/research assistantship. Scholarship / Fellowship: This is usually an outright grant based on the student’s academic ability and performance. Hence, only a truly outstanding student may be considered for this type of award, before being enrolled at the university. A full scholarship would pay for a student’s entire living expenses at that university, whereas a partial scholarship would require additional funds from the student. Assistantship: Most students, who receive assistance, usually do so in the form of an assistantship, i.e. a cash stipend sufficient for their living expenses, and/or tuition waiver. To get this, they have to work for a maximum of 20 hours per week. This work normally consists of teaching and research activities. Information brochures of most universities give this information. Often, students will have to prove teaching and research abilities before the assistantship is granted. Hence, many universities grant this only after the first semester. You may also be required to take TSE (Test of Spoken English) to qualify for a teaching assistantship. · Students having outstanding letter(s) of recommendation and an impressive statement of purpose. For an education loan in the US, international students are required to have a US Citizen or permanent resident as a co-signer to apply for the loan. The co-signer must have had good credit history and good employment history (or other income history if the co-signer is not employed). A good US co-signer is critical to getting your loan approved and priced reasonably. The better your co-signer, the better your interest rate will be. The co-signer is responsible for paying back the loan should you default on it. So if you do not have a co-signer in the US, you cannot explore this option. However, there are some banks that waive the co-signer requirement for specific schools. You should check this information from the school website. E.g. Citibank provides loans to international students admitted to Harvard Business School without a co-signer. · Interest rate is much lower in comparison to that charged in India. If you apply through a creditworthy co-signer, you will get a low rate of interest. Interest rates are variable and will be essential LIBOR plus a margin and will be reset monthly. The margin will be set by the lender depending on the credit history of the co-signer. So if you have a co-signer, then taking an international education loan make prove to be financially beneficial because of the low interest rates and flexible repayment terms. If you are unable to get a loan in the US, the next option is to obtain one in India. · Past academic record of the loan seeker should be satisfactory. · Repayment: Repayment has to start 6 months after the completion of the course or if the person gets a job immediately after completing the course, one-month after getting the job. The maximum time given for the repayment is 15 years counted from the date of the first disbursement. · Interest: Banks offer a choice between fixed and floating rate. Most nationalized banks offer variable rates while private and foreign banks charge fixed rates. The rate can vary between 10 per cent and 15 per cent. This entry was posted in Bank Loan for Education on September 16, 2015 by Sangeetha Shaji.